Our beginner's guide has everything you need to know. Earlier this week we reviewed TeamLava's Monster Story, a bright and breezy island management sim with just a hint of Viva Pinata thrown in for good measure. Since then we've pooled our thoughts on how to get ahead with the game, so if you're struggling with the basics, our beginner's guide will set you on the right path in no time. How do I hatch new monsters? Head to the market (or tap on the nest), and you'll be able to scroll through the list of available monsters. Each one is available for a different cost, and you won't be able to access all of them at first. Once you've selected your preferred critter, you just have to choose a nest, and then wait for the creature to hatch. Once it has, you'll need to tap on it and then select a habitat for it to live in. Note that what you see in the market screen when choosing a monster isn't necessarily how the monster will look after it's grown and evolved. How can I get more money in the game? If you have monsters living in habitats, they'll accrue currency over time. 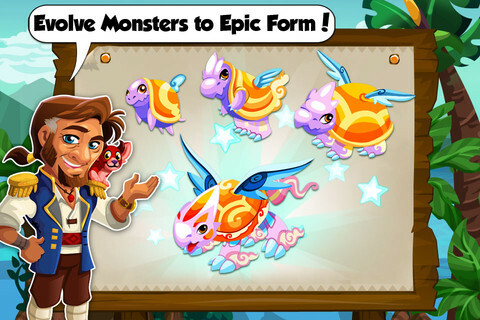 Note that different monsters (at different levels and stages of evolution) will provide different amounts of cash, so check carefully before hatching one. Habitats can only hold so much currency though, so make sure to regularly tap on them to empty out the cash. How do I evolve creatures? So, you've grown plenty of food on your farms, stuffed your critters to bursting point with the produce, but they won't level up further. How do you continue to grow them? Well, to proceed further than level three, you're going to need to plant something called an evolution totem on your island (found in the market). Once this is up and running, you'll be able to make your creatures even bigger! Choose your construction type and locations very carefully before making any decisions, as it's impossible to destroy a building once it's been created. Sure you can move them, but if you lack the space in the first place then this won't be much help to you. It's particularly important that you don't create the wrong item during the tutorial, otherwise you'll find yourself unable to proceed until a huge amount of jungle has been cleared. This is very time-consuming, not to mention annoying! Don't forget to check out the mission book if you're stuck and not sure how to develop your world next. Each mission will give you some objectives that will both lead you deeper into the game, and teach you everything you need to know to stand on your own two feet. Rather than use the fiddly on-screen expansion signs to grow your island, do it through the market interface instead. It's much easier to use, and will bring up all of the growth options that are currently available to you. How do the social elements work? You get bonuses to your social rating for visiting other players' islands. To get there, you need to hit the Menu icon in the bottom left of the screen, then Social. 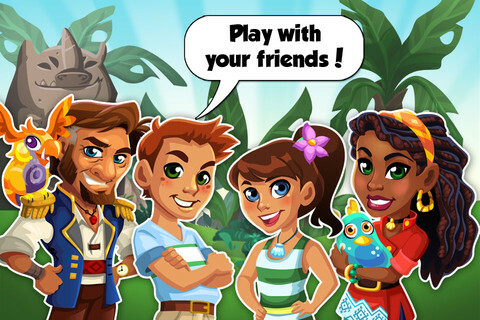 Here you can click to visit other islands, or invite friends to play the game. Note that to invite players you'll either need to know their Storm8 ID, or connect with them via Facebook or e-mail. How can I get a bigger island? There are two steps to enlarging the area you can place buildings onto: first you need to expand your territory through an option in the market screen, and then you need to clear out any weeds, rocks, or foliage that block the foundations of the building. Clearing out land can take a long time if there are any large objects present, so choose the direction of your expansion carefully. What can you buy from the market? You can click on a nest to hatch a new monster, or initiate the hatching process from within the market screen. There are far too many monster types to list them all here, but it's very important that you match a monster with the right habitat. How do you do this? Well, at the bottom left of each monster's portrait you'll see a symbol. The color of this symbol denotes the color of habitat that the creature can live in. 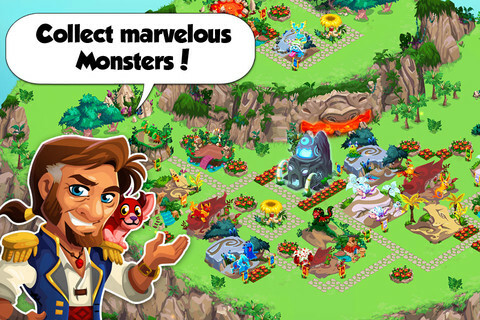 Note that some monsters can live in multiple habitat types, and will have extra icons displayed. By hitting the info button on each monster, you can also see how much money they'll generate for you, along with their rarity classification. 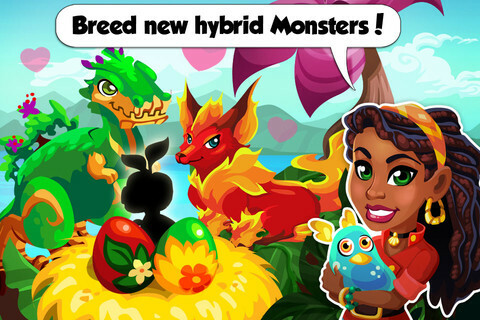 Here you can pick up extra farms if you want to boost your food production, a breeding garden for when you want to create more monsters, extra nests so you can hatch more than one egg at a time, as well as the evolution totem, which is essential for evolving creatures past a certain level. If you really want to personalize your island for when the neighbors come knocking, you can pick up a huge variety of plants and banners from here.